Create your report outline in Citavi and structure your references by chapter, add thoughts, ideas, comments, and evaluations. Annotate and cut and paste quotes from your pdf article and ebook chapter downloads, which Citavi automatically saves tagged with their bibliographic source information. A Microsoft Word plug-in then makes it easy to add your outline, citations, reference list, excepts and quotations and notes into your document, and format your references to match any of the supported or customised referencing styles. 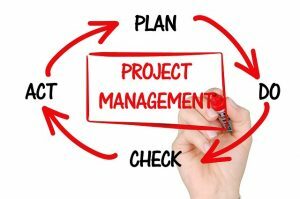 Citavi also offers a suite of project management tools that allow you to plan your work, create task lists, and schedule events and milestones on a project calendar. The free version of Citavi (Citavi Free) is limited to 100 references per project but otherwise offers all the functions of the full subscription package, making it ideal for undergraduates and postgraduate coursework projects. Citavi offer the full version of the software that will handle an unlimited number of references per project at a discounted rate for Universities, and sells individual licenses to students, researchers and academic staff at a discount (ca. £95 at the time of writing). Even if the free project reference limit and full version cost are prohibitive barriers, you could still use some of the project management tools and manage you references in Mendeley or another reference management software package. Watch Liblog tomorrow for the 20 minute video crash course in using Citavi! This looks to be a really useful piece of software – is there any prospect of an institutional subscription to replace the one we used to have for Endnote? Hi Jane, I am pleased that you found the blog post helpful. I have referred your query to our e-resources manager to answer. Someone should be in touch about whether we might subscribe to Citavi very soon. Thank you for your interest and I am sorry for the delay. This is still being considered by the Library’s Senior Management Team. We have no immediate plans to subscribe to Citavi but it is still under active consideration and we hope to be able to let you know what has been decided later this month.